The young pirates defending the ship in a gun battle, sing along as the pirate crew sings songs of the sea, hear true stories of pirate and privateer attacks in the legendary Pirates Cove, and hunt for the Captain’s lost gold and treasure chest is a dreamt summer vacay. Watch out for any surprise attacks that we may have on board as a good way to cool ourselves off in the hot summer sun! The stories about pirates are always attractive to adventurous soul. The adventure on a super cool giant ship is even more charming to any young boy. 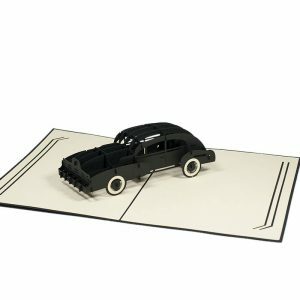 This adventurous excitement has always been our favorite inspiration to create this card. 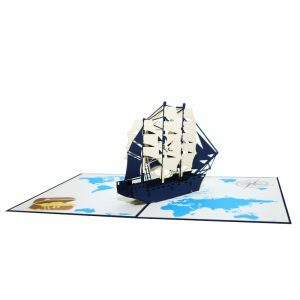 Bring your young pirates aboard the CharmPop full rigged ship for a swashbuckling Pirate Adventure with our pop up card designs. 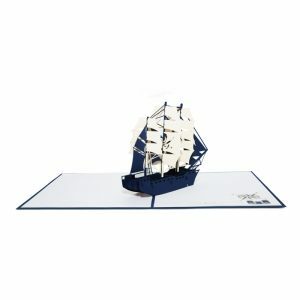 Pirate Ship pop up card has a huge pirate ship pattern on its navy cover. 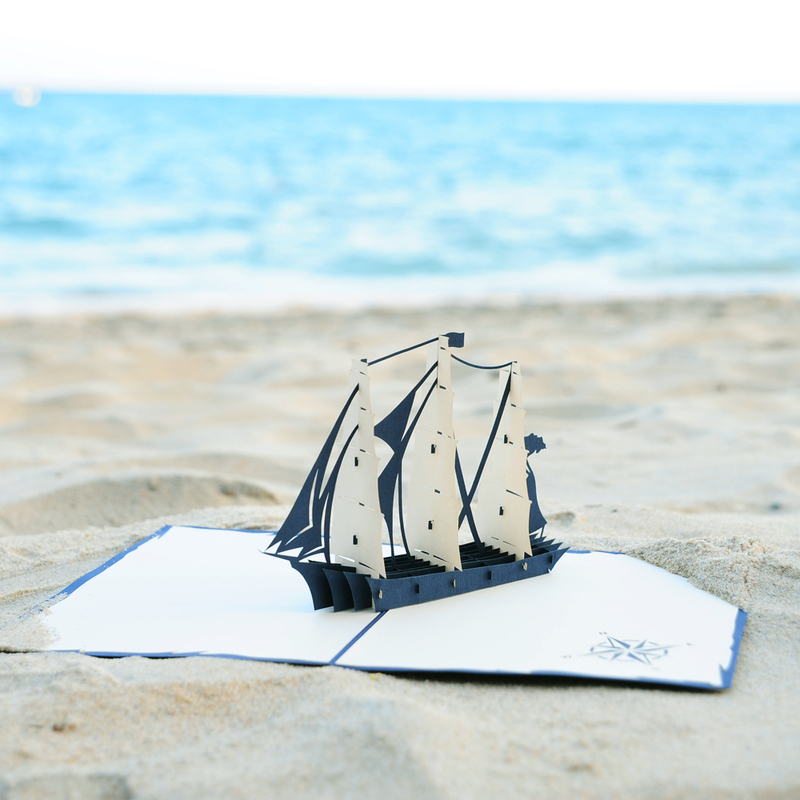 Opening the card, you will discover a sculpture of a full-rigged ship with white and navy sails and ship. 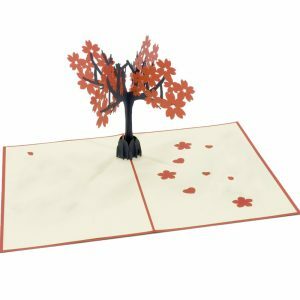 The card is embelished with patterns of map, trasure cage and compass prints. 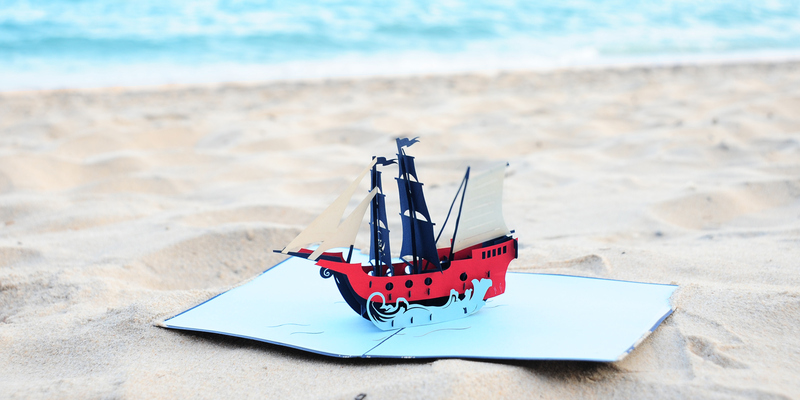 Pirate Ship pop up card has a huge pirate ship pattern on its navy cover. 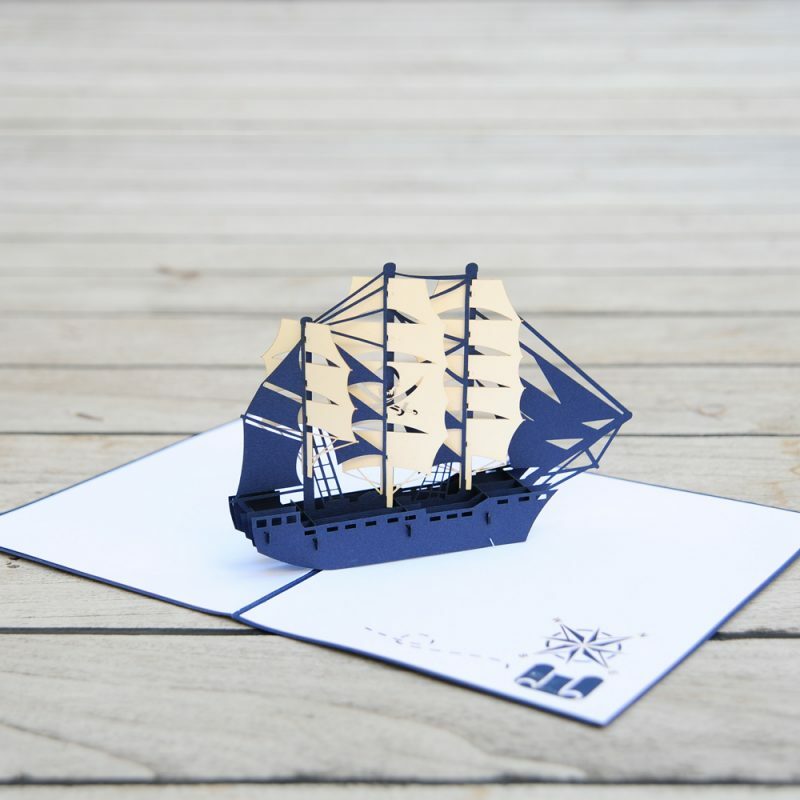 Opening the card, you will discover a sculpture of a full-rigged ship with white and navy sails and ship. Our craftsmen have carefully design layers and layers of the pop-up to form a perfect and lively sculpture. 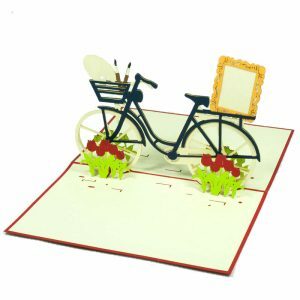 This pop up card is suitable for everyone in any occasion from Birthday to Father’s day. 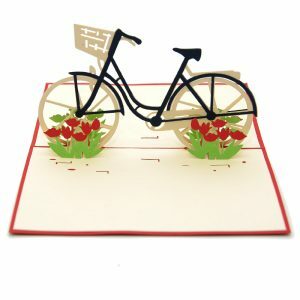 Give this handmade pop-up card to your business partner, children or your friend next door and enjoy watching them get thrilled on opening it. 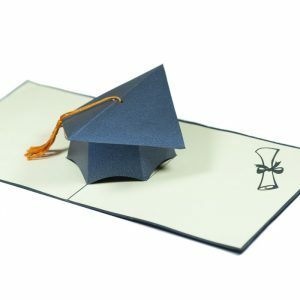 Everyone should buy these As they are so unique and special. Thanks so much for these cards. Keep on making the unusual and beautiful. Wish I could give you more than five stars as that’s how much I love them and want to give them to the ones I love. Thanks so much! This pirate ship is so cute! Really appreciate your improvement on the designs. I like how you add the printings to the cards. A lot more attractive! 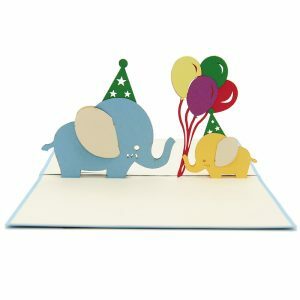 I purchase a custom order of this design for my son’s birthday invitation. All the kids love it! What’s not to love! Every receiver will love their card! Love all the cards … wish I could buy for everyone. 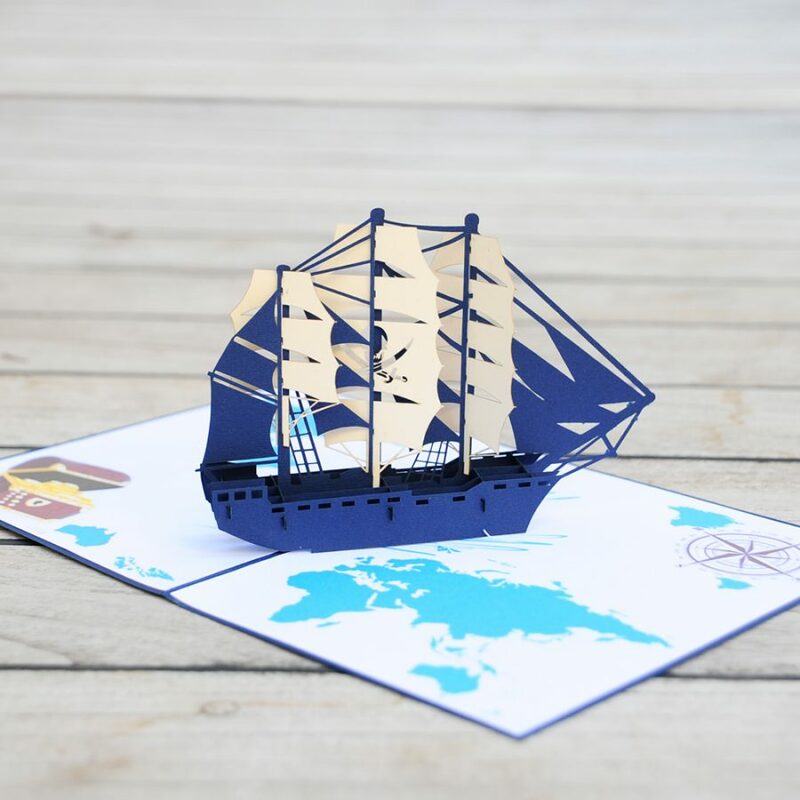 Hey Buddy!, I found this information for you: "Pirate Ship Pop Up Card". 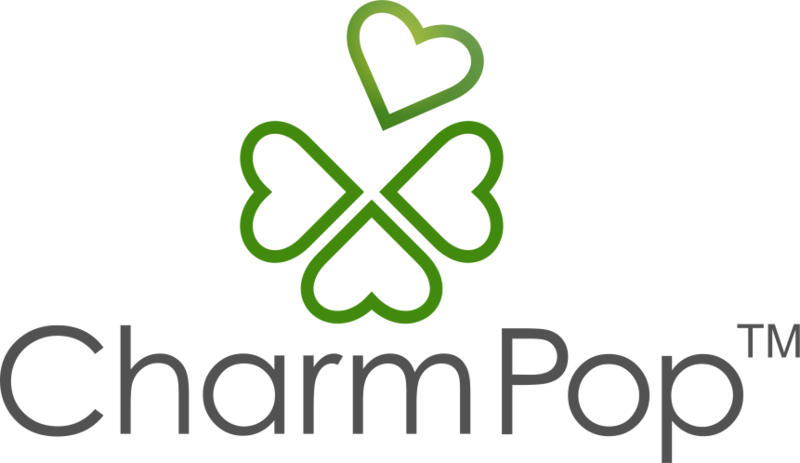 Here is the website link: https://charmpopcards.com/pirate-ship-pop-up-card.html. Thank you.